Midland Healthcare & Research Center is one of the leading multi-specialty hospitals in Lucknow with more than 200 doctors, nurses, paramedics, clinical staff and management professionals. The talent and passion of our people are critical to our success and we foster it by providing an exhilarating working environment that inspires lateral thinking, fosters team spirit and encourages open communication. Teamwork, professionalism, focus on clinical excellence and goals of continuous medical innovation and commitment to progress make Midland Healthcare an ideal environment for people interested in hospital jobs, explore new frontiers and conduct path-breaking research. With a culturally diverse and a truly international team, we can provide a solid foundation for building a fulfilling professional career. If you are looking for jobs in hospital you can check out all the latest openings and apply here. We are looking for an ambitious Urologist to join our healthcare team. As our Urologist, you will be responsible for exterminating, treating, advising and monitoring patients’ health of reproductive organs, urinary tracts, bladders, and kidneys. Midland Healthcare & Research Center seeks a general Nephrologist versed in all aspects of Nephrology, including normal kidney physiology, electrolyte balance, nephrolithiasis, acute kidney injury, chronic kidney disease, including end-stage kidney disease and has an understanding and experience with all forms of renal replacement therapy (hemodialysis, peritoneal dialysis, nocturnal dialysis, and kidney transplantation). Transplant Nephrologists also encouraged to apply. Manage complicated in-patient renal patients, including decisions around the initiation of dialysis, immunosuppression, and management of electrolyte imbalances. Extensive experience in ICU patient care including managing dialysis modalities like CRRT and SLEDD. Managing of various aspects of renal transplant including donor and recipient assessment, peri-transplant management, decisions around immunosuppression, post-transplant management and follow up. Regular presentations including clinical case presentations, seminars and journal club. * Hemodialysis catheter insertion; Temporary and tunneled. * Renal biopsy; Transplant and native kidney. * Bedside PD catheter insertion. We are looking to hire a Neurologist with outstanding medical knowledge of anatomy, physiology, the central nervous system, and other body systems. Responsible for emergency medical services. Responsible in assessing and classifying the emergencies as per the EM Protocols. Responsible to support special assignments in contingency. An MBBS with minimum 1 to 2 years of experience. Supports physicians in diagnosing and treating cardiac and peripheral vascular ailments by helping physicians wind a catheter through a patient’s blood vessel to the heart. Comforts patients by welcoming them to the cardiology suite; answering their questions; responding to requests. Completes electro-cardio-grams (EKGs or ECGs) by attaching electrodes to the patient’s chest, arms, and legs; manipulating switches on an electrocardiograph machine to obtain a reading. Completes treadmill stress tests by connecting patient to an EKG monitor; obtaining a baseline heart-rate reading and resting blood pressure; increasing the speed of the treadmill; observing the effect of increased exertion. Completes non-invasive peripheral vascular tests by collecting ultrasound echoes to form a screen image of the heart function, blood flow, and circulation. Documents patient services by completing patient records, forms, reports, logs, and other records. Maintains equipment by ensuring that computers and cardiovascular systems and equipment are operating properly; following operating instructions; reporting any hazardous or potentially dangerous conditions; responding to equipment breakdowns; troubleshooting problems; calibrating equipment; following preventive maintenance procedures; anticipating repair requirements; calling for repairs. Maintains quality results by evaluating diagnostic studies for quality and diagnoses. Maintains a safe, secure, and healthy work environment by following asepsis standards and procedures; complying with legal regulations. Enhances cardiology and hospital reputation by accepting ownership for accomplishing new and different requests; exploring opportunities to add value to job accomplishments. • Assures quality care by adhering to therapeutic standards; following hospital and nursing divisions philosophies and standards of care set by state board of nursing, state nurse practice act, and other governing agency regulations. • Establishes a compassionate environment by providing medical, emotional, and psychological, support to patients, friends, and families. 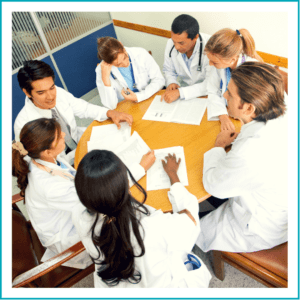 • Resolves patient problems by utilizing multidisciplinary team strategies. B.Sc. Nursing / GNM / IDCCN with minimum of 2 years of experience. Collect and verifies the TPA card, Photo ID card or insurance policy at the time of admission while the patient starts receiving necessary medical treatment. Apply for cashless treatment to the concern TPA before admission. Good interpersonal / Communication skills in the hospital industry. Performing test as per defined Standard Operating Procedure (SOP). To analyze the internal and external quality assurance specimen/ samples. Performing calibrations and running of controls as per SOP. To incorporate the result entry of tests performed. To ensure daily instrument maintenance. To maintain records of all reports. Maintain proper storage of specimens/ samples as per SOP. Observing laboratory safety precautions in handling clinical specimens and running of tests. Critical/abnormal findings to be escalated. Clinical Pathology, Haematology, Microbiology, Histopathology, Biochemistry, Phlebotomy. Knowledge of microscopy is essential. We are looking for qualified X-Ray Technicians with minimum of 2 years of experience in DR X-rays. Candidates willing to work 6 days a week (no night shifts) available immediately may apply. Prepare accurate, timely financial statements in accordance with our established schedule and with input from the rest of the accounting department. Conduct monthly and quarterly account reconciliations to ensure accurate reporting and ledger maintenance. Analyze financial statements for discrepancies and other issues that should be brought to the CFO’s attention. Review all inter-company transactions and generate invoices as necessary. Delegate financial responsibilities to the accounting team. Coordinate semi-annual audits and assist in conducting audits. We are seeking an experienced, energetic, and organized Front Desk Receptionist to join our team. We are looking for a Typist to perform typing and word processing tasks for our healthcare center. If you can type fast and accurately and can check documents for grammar, spelling and punctuation errors under tight deadlines, we’d like to meet you. For this role, it’s essential to handle sensitive information with confidentiality. Ultimately, you should be able to ensure our company documents are accurate, updated and accessible to all employees.